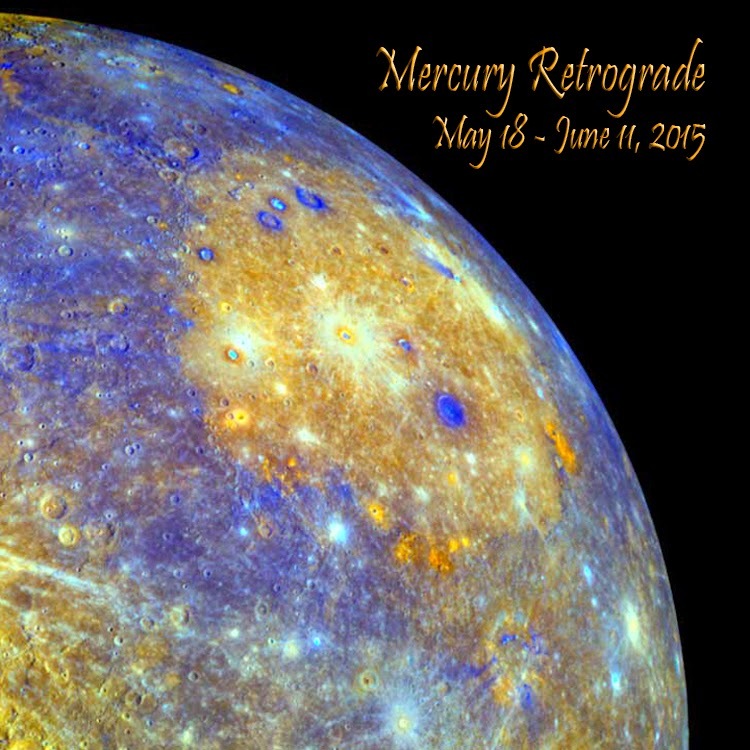 Are you ready for Mercury Retrograde? It stations May 18th at 13:09 Gemini at 6:50 pm PT / 9:50 pm ET. And will go direct June 11th at 4:34 Gemini at 3:33 pm PT / 6:33 pm ET. Have you made sure to service your car, clean your computer, check your phone batteries and carefully review all travel itinerary? Take time to do these things now. This retrograde is in the sign that Mercury rules - Gemini and thus will really create havoc with communications if it activates your chart in any challenging way. On the other hand if it is activating your chart in a trine or sextile and there are good aspects, you will find it a great time to have negotiations work in your favor. Excellent time to renegotiate contracts. But if you do not know your chart.. take time to learn it. No matter what you do, this is a period of time to pay extra close attention to what is said. When getting directions, make sure to go over them twice, if signing contracts make sure to have others you trust review them too.. and an attorney if it involves serious investments. Check on things you have looked into purchasing in the past and knowing that it is a retrograde, you may find an amazing deal that will only require you to get what the person tells you in writing. This is not a time where relying on a verbal agreement or handshake is safe, no matter how many times you have done it in the past. Why? Because people do not hear each other as clearly during retrograde periods, so they tend to result in misunderstandings. Get it in writing. there you can make it for free, then you can check. Michele Avanti, CAP is an ISAR Certified Astrology Professional with over 25 years experience in astrology. She works with clients worldwide by phone or skype. Here areas of expertise include: natal, relationship, relocation, career, timing for love, business, partnership, children, as well as fixed stars and cell salts. Click here to view her services, fees and to set up a session.